No excuses. I’ve neglected this blog and not on purpose. Call it laziness, call it whatever. I should have been posting at least once a week or once every ten days minimum, but it’s been over four months since I’ve posted anything while I still lavish my Instagram with content. 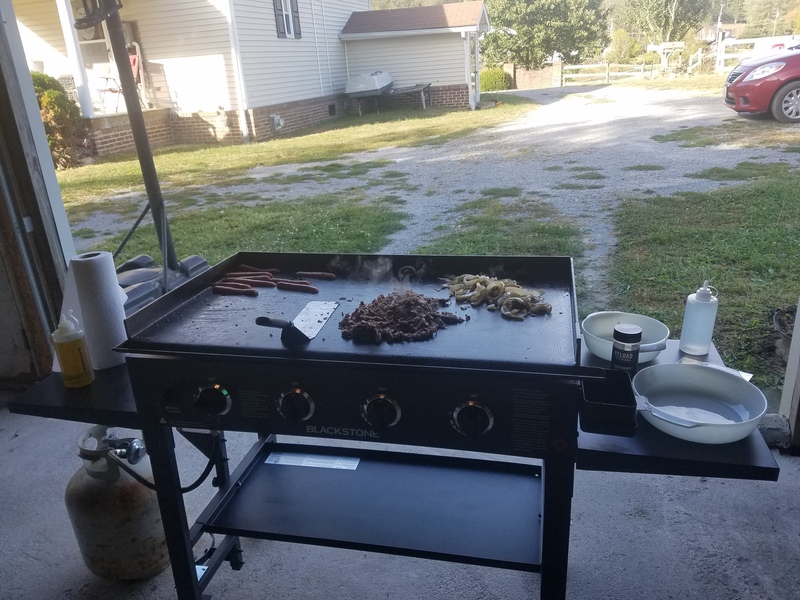 A little over a week after my last post, I bought a 36″ Blackstone griddle on sale at Wal-Mart. The hype reverberated throughout the social media walls on Instagram and curiosity got the best of me. Overall thoughts: It’s a badass cooking gadget. My mother, who is a burgers-cooked-over-charcoal fanatic, thinks smashburgers is the greatest thing ever (she might not be wrong). Being able to cook a horde of food in one fell swoop is fantastic. 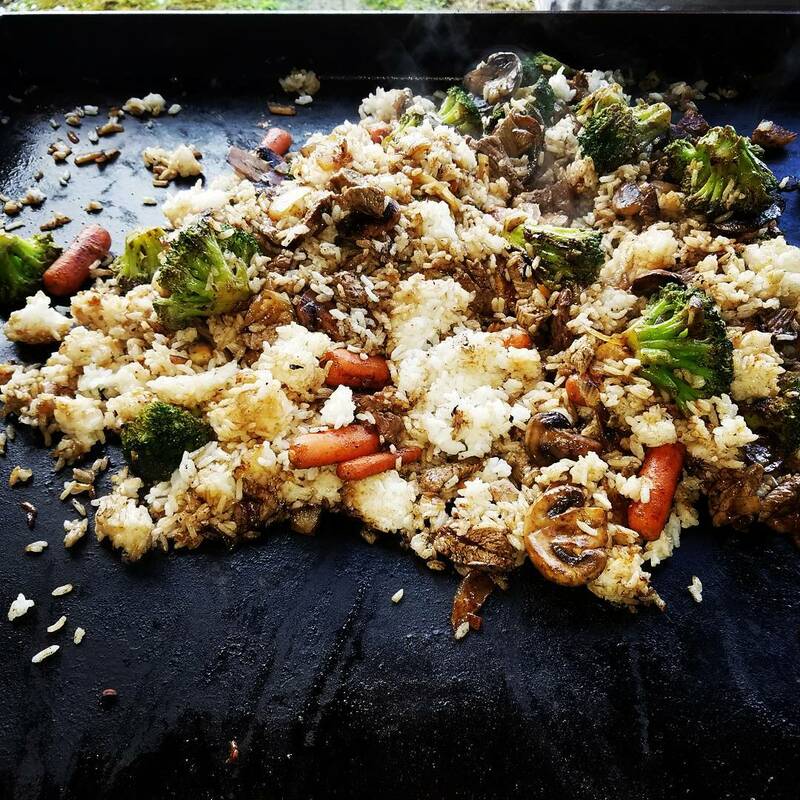 Using the Blackstone was my first experience bothering with using propane for cooking. If you catch it on sale, snag it! 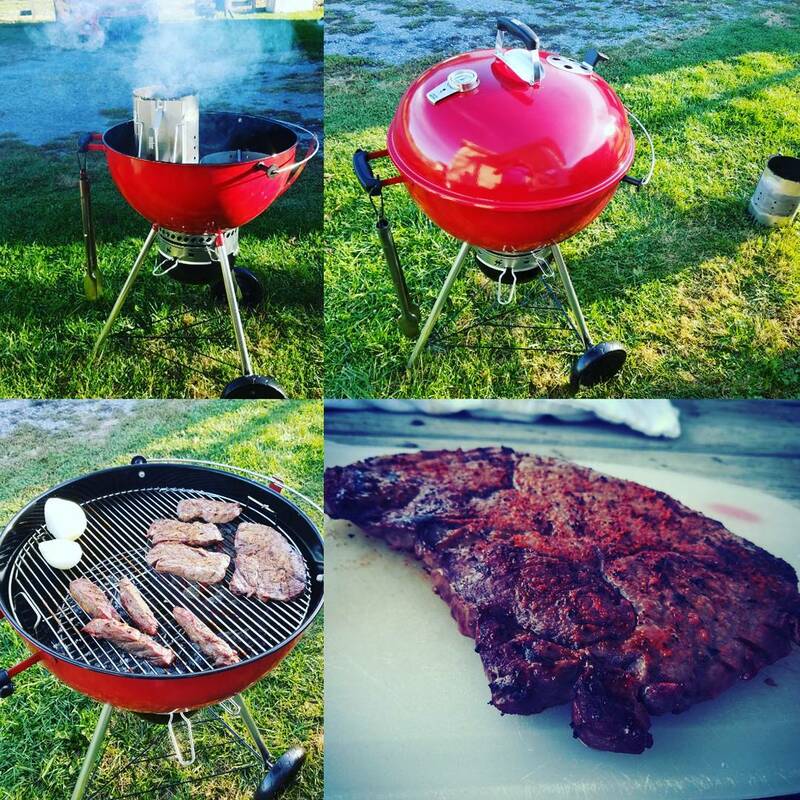 I received the brand new limited edition red Weber kettle grill a few weeks ago, and I’m loving it. There are a couple of minor blemishes in the finish, but it’s no big deal. It’s a grill, it’s outside, it’s going to get cooked on and it’s going to get dirty. With that said, a lot of customers are receiving damaged grills. I believe they are the vocal minority, as I think most people who received grills in good shape are quiet and/or busy cooking on ’em, but it is a bit disconcerting that so many people are receiving these damaged grills which are purportedly limited edition. It’s my first Weber kettle, so I’m just enjoying it and having a good time. Removing the ash catcher is a little strenuous, but the more I do it I guess I’ll be developing bodybuilder-esque grip strength soon enough. All in all, since receiving it a couple weeks ago, I’ve cooked on the kettle about five times now, most recently cooking up a couple of flat iron steaks with some peppers and onions yesterday.